You are welcome but this is not her show’s site. 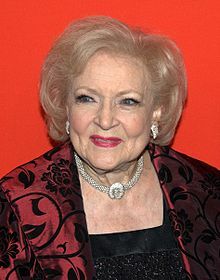 Is Betty White’s new show an April Fool’s Day prank? Judging by the European version, it wouldn’t be very complimentary but ageist. 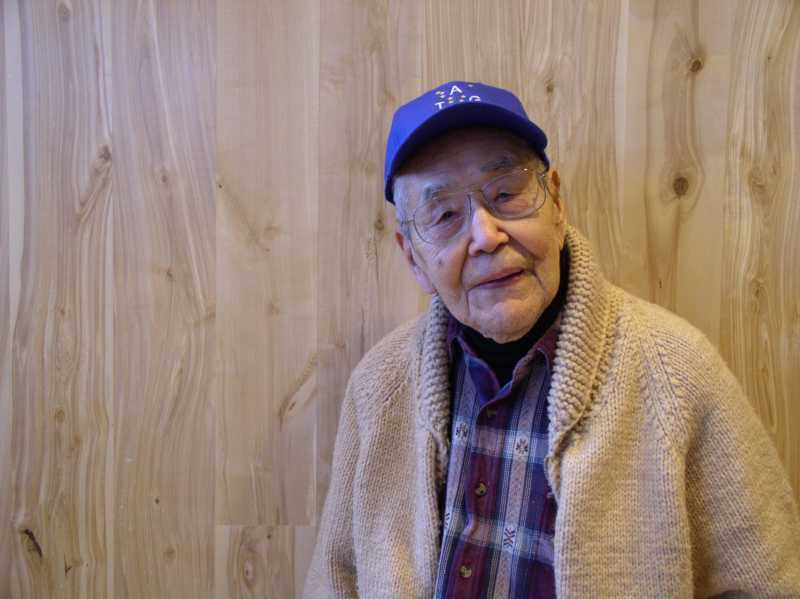 Noted Tlingit elder Walter Soboleff dies from the Juneau Empire. Dr Soboleff was a main speaker at the Elders and Youth Conference and at AFN in Anchorage this year. Elders and Youth is the convention which precedes the statewide Alaska Federation of Natives annual convention. Soboleff is important in anthropological linguistics but better known for his contributions to Alaska as reverend, teacher, organizer, archivist. 1908 was the year that the 88 million Americans living at the time heard about a “ball” dropping in New York’s Time Square to celebrate the coming of a New Year; it was the first year that Americans would honor their mothers (Mother’s Day). Teddy Roosevelt was president, a postage stamp cost 2 cents, and Henry Ford was developing the Model T, which would sell for $850. Kajakti, “One Slain in Battle,” was born November 14, 1908, to Alexander Ivan Soboleff, the son of a Russian Orthodox priest, and his wife, Anna Hunter of Killisnoo, Alaska. Kajakti (also spelled Kha’jaq’tii) was born into a world where his mother’s Tlingit culture was being forever changed by his father’s European one. He was named after an Angoon Clan leader to whom he was related. As a 7 year old, Kajakti was taken to an Iicht (shaman) by his mother and was treated for reasons he never understood. He also experienced being sent to the “Russian school” in Sitka as an 8-year-old, only to be sent home again because it closed due to the overthrow of Tsar Nicholas II of Russia, its benefactor (1917). A year later, the 10-year-old served as an interpreter for a doctor who visited Killisnoo during the 1918 flu epidemic that brought many Alaska Native tribes to the edge of extinction. JUNEAU — More than 1,000 papers documenting Alaska Native history by Tlingit elder Walter Soboleff have been posted on the Internet by Sealaska Heritage Institute in what officials are calling a unique and priceless collection. Running from 1929 to 1995, the documents provide insight into the Native land claims struggle and the Alaska Native Brotherhood, institute president Rosita Worl said. … “He begins at a real pivotal time in our history,” she said. Tue, October 21, 2008 At the Elders and Youth gathering that precedes the AFN convention, First Alaskans Institute trustee Byron Mallot spoke about the incredible legacy of Tlingit elder Dr. Walter Soboleff. Soboleff will turn 100 years old in November and Mallot said introducing him was humbling. Here is an extended interview with Dr. Soboleff. [revised 2008-11-14] The Anchorage Daily Newsreader provides additional links to his birthday celebration. The article includes photos from Soboleff’s life. Soboleff gave a dramatic keynote speech at the Elders and Youth Conference last month in Anchorage. You can hear it at the Alaska Public Radio Network site. More than 1,000 papers by Soboleff documenting Alaska Native history are being archived by the Sealaska Heritage Institute. Many can be seen here. OHKAY OWINGEH — New Mexico honored Ohkay Owingeh storyteller and Tewa linguist Esther Martinez Blue Water (P’oe Tsáwä) on Saturday by unveiling a new roadside marker at the pueblo north of Española. The wooden marker is the second of 55 that will be installed around the state in recognition of influential New Mexico women. .. The marker program was conceived by three women — Pat French, Beverly Duran and Alexis Girard. They created the New Mexico Historic Women Marker Initiative and lobbied the Legislature to fund the project. … Martinez received many national honors for her work in preserving the language and stories of her people. She taught Tewa in the Ohkay Owingeh (formerly San Juan Pueblo) schools for years and created a Tewa dictionary. She traveled widely to share stories with non-Pueblo people. She received the Teacher of the Year award from the National Council of American Indians in 1997 and a year later was given the Governor’s Award for Excellence. In 2006, Martinez was named a National Heritage Fellow by the National Endowment for the Arts. I was sad to hear the recent news about Gladys Jung, Gladys Jung passes away Tue, September 30, 2008, APRN.org She was an early school teacher and the first Alaska Native (Yup’ik) school teacher in the Yukon-Kuskokwim region. Late in life she was known as the “Iqmik Lady” for her public service announcements about the hazards of tobacco use. This article asks whether she will put on eBay her new plane. OOPS, she ordered Al Gore to stop flying his plane. Presumably it was a reference to climate change. The only one during her speech. Now she got a plane with a big carbon footprint. She can transport some moose or hundred reporters. Her Al Gore joke contrasted with a week full of estimates of the magnitude of the expected magnitude of the sea level rise, news about the Canadian ice shelf loss and of polar bears in peril. Neither the media nor the pundits tearing apart her speech thought of asking whether she has any plan (or plane) to relocate the affected Native populations. No one thinks about relocation nor have they much. There are several hundred towns which must be relocated some or great distances, including houses, schools, electrical plants, sewage, garbage, telephones, churches, graveyards, water treatment, etc etc. By the way, the Republican Murkowski jet, which was unable to visit most places in Alaska (no runways large enough), did NOT sell on e-Bay. It finally had to be given away, relatively speaking.